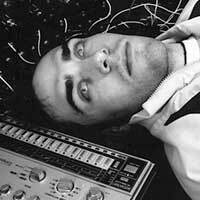 Andrew Dymond, is a one-man band from Lyon, France. 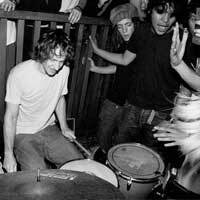 Initially an artist that only played live with a drum set, a trigger machine, and a synthesizer, Andre said he started Duracell because “he didn’t exactly think about starting a one man band, just the music was there,” and he was heavily influenced by US noise rock act Lightning Bolt. 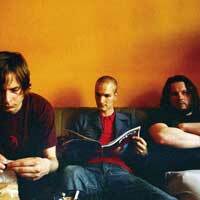 This performance at Supersonic will be their last ever live show. Usually a duo, their unpredictable nature has often created the possibility of any number of people playing any form of music, with live sets sometimes ascending to a beautiful chaos where people are compelled to shake, scream, walkout or even threaten the band. This is not the end for these brothers, other projects will continue including Horror Pillow, Dream Dreams The Dreamer to name but a few. 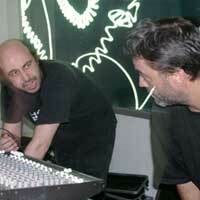 Since 1998 Norwegians John Hegre and Lasse Marhaug have been making sound together as Jazzkammer. Ex members of Enslaved and Manngard and for this performance they will be enlisting the help of Noxagt member Anders Hana. Utterly vast in it’s unrelenting scope, their music collides grindcore, extreme doom, 80’s thrash and Glenn Branca-like black metal soundscapes into a seething hulk of pulsating vitriol that is nowhere near as savage as that description would lead you to believe. 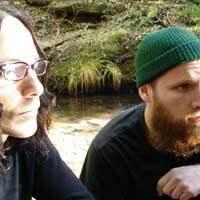 Formed by Al Cisneros (bass/vocals) and Chris Hakius (drums), both founding members of legendary doom pioneers Sleep. OM released their album – Conference of the Birds in 2005. 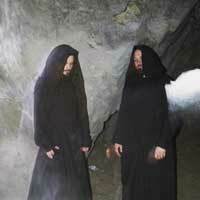 Comprised of two songs that build on their use of cyclical rhythm, riff and vocal intonation, the duo’s new album blends metal, chant, drone, dub and psychedelia. The band’s lyrics expound upon the structure of the universe, potentiality and freedom from the physical body. 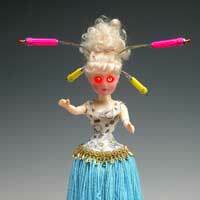 Brian Duffy has been a stalwart of the circuit-bending scene for a number of years now. He set the bar pretty high for the MTO, his remit was only to use discarded kid’s keyboards and talking toys to modify and circuit bend them beyond their original capabilities. Making perfect pop songs from imperfect instruments. The new incarnation of the orchestra, consists of Laurence Hunt (Pram) Darren Joyce (DOTB) Mike Johnston (Plone, Mike in Mono) Joe Leach and Chris Plant. Majestic, beautiful and utterly inspiring – just some of the adjectives used to describe this legendary post-rock band from Scotland. Mogwai at Supersonic has been a long time coming and this show promises to be very special indeed. There is a beauty to their music that few come close too. 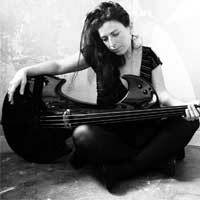 Passionate and exciting, both musically and visually, Bela Emerson captivates audiences with her unique performances using electric cello, realtime samples and guitar effects. Her solo performances are the stuff of legend: spontaneous, intense, and exhilarating. Layers of rhythm and sound are created from every bit of the instrument, to spellbinding effect. Migrant create electro-acoustic sound sculptures through live improvisation. The trio – sound artist Helena Gough, Simon Mabbott (Black Galaxy) and Nicholas Bullen (ex-Napalm Death / Scorn) – use a combination of laptops, live performance software, prepared guitar and amplified objects to generate a sonic landscape of shifting soundfields which encompass sparse electronic soundbeds, languid tone drifts and abrasive digital broadcast storms. 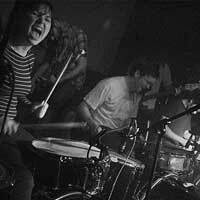 They are a gloriously intense and euphoric yet challenging and confrontational with their music. 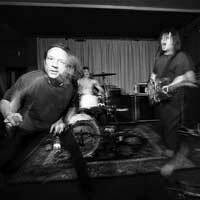 They deliver layers of noise and intricate melodies but are not afraid to drone out and create slabs of sound. 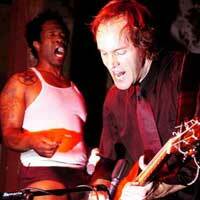 Eugene Robinson and Niko Wenner, the singer/lyricist and songwriter/architect of Oxbow’s mean mania, the duo make music a thing of rarefied beauty using little more than the rudiments of guitar and voice for the non-electrical rendering of a terror no less absolute because of a lack of volume.Exorcising demons, gang fights and classical guitars. For Supersonic they will be collaborating with a number of special guests for a unique and exclusive performance. After last years performance by Circle we just had to get their other project to the festival. This is pretty much a perfect cross between the hypnotic riff-repetition and rhythmic pulse of Circle and the super heavy doom vibe of Kyuss-worshippers Natas! Psychedelic metal of the highest and heaviest order. KID606 aka Miguel Depedro, born 1979 in Venezuela and raised in California. Critically acclaimed releases (both legal and illegal) on Ipecac, Mille Plateaux, Fatcat, and his own tigerbeat6 label as well as remixes for artists as disparate as Depeche Mode, The Locust, Peaches, and Super Furry Animals. Kid606 is an inspired, angry and iconoclastic artist more concerned with emotional content then popularity and unwilling to be pigeonholed in any vacant scene or soulless musical genre. It should be noted, however, that he is primarily inspired not by his electronic contemporaries, but by his love of the Industrial music, Death metal, and Industrial metal of the 1980s and 90s, particularly bands like Godflesh and Napalm Death. The Los Angeles trio is Paul Christensen on drums, Matt Cronk on guitar, and David Yow. If you’re a Scratch Acid or Jesus Lizard fan, Qui sounds like a grungier sampling of both, with a little psychedelic stoner rock thrown in. Awesome riffs, pounding heavy beats and Yow snarling like he means it. PCM are Neil Harvey and Nik Wells and since their inception in 1990 have been mainstays of the Birmingham music scene, they deliver an uncompromisingly dark and aggressive take on drum and bass that is all their own, while still managing to instill a huge amount of dancefloor friendly breaks through the brutality of their music, this is a chance to see them in their most favourite environment, a dark, sweaty venue, late at night where they don’t have to take any prisoners. 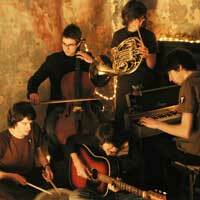 Their line up is a miniature indie orchestra of pianos, guitars, casio tones, violin, cello, French horn and samples. The result is beautiful, frail torchlight melodies; broken and melancholy, this is hauntingly mysterious and rich. The songs take on a life of their own and you get completely enveloped in Shady Bards world. MONARCH! unleash a slow motion avalanche of impossibly glacial, blackened sludge and hypnotic feedback, each song a series of epic tarpit riffage stretched out eternally over lumbering drums and the cavernous rumble of speaker cabinets. 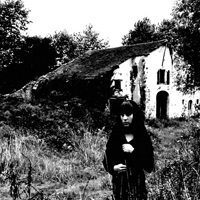 Over these yawning expanses of black void appears the demonic, throat-shredding shrieks and ghostly singing of Emilie, whose petite appearance belies one of the harshest throats in the underground Doom spectrum. They’re a real take-no-prisoners noise trip to a verrrry darrrkkk place. The music is unrelenting, a deranged stew of the Strangulated Beatoffs, early Surfers, Skullflower, PiL, Melvins and the tribal drummer parts of the Boredoms. It’s a glorious din, which startles, hypnotises and infuriates. For one night only Deadsunrising will be reforming in honour of Supersonics fifth edition, having opened the very first festival in 2003 they are back from the depths of West Bromwich, to toy with your preconceptions of how a 21st century metal band should sound. There is no safe haven once DSR have kicked in, with vocalists and guitarists spreading across the venue like bacteria, with scant regard for personal well-being. A constant flow of words and ideas giving birth to new texts; this is what the group is looking for on stage. It all starts from a much rehearsed and tightly woven musical soundtrack then it gradually evolves, moves then frays to end up in unfamiliar regions. A direct threat which is inviting each musician to conscientiously listen to the other members, to look at them, then play for and with one another, free from any restraints. 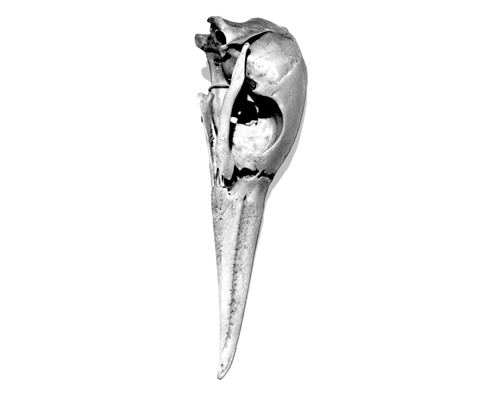 This is the project of Stephen O’ Malley (Khanate/Burning Witch) and founder of Southern Lord Records Greg Anderson (Goatsnake). Formed in memory of the cult drone-riff pioneers EARTH their theatrical performances create trance like soundscapes that are intricate, dense and filled with the heaviest bottom end you will ever hear. In collaboration with Attila of Mayhem and Justin Broadrick of Godflesh/Jesu for this performance. labyrinthine offshoots along its merry way. debate to the audience to participate. 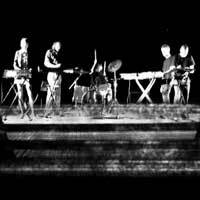 Kling Klang are a five piece kraut-punk band from Liverpool, consisting of four synth players and a drummer. 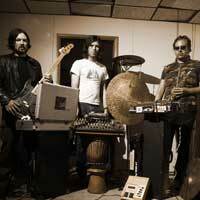 Formed in mid 1999, as a 3 piece using only cheap synths and old drum machines. 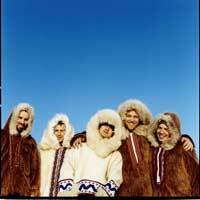 Since then they have used every show and release as a way to explore new dynamic ways of presenting their unique sound. A perfect mixture of skewed electronica and pastoral English Folk music. If the pub in the Wicker man needed an in house band they would call Tunng, singing you a sweet melody whilst slipping a poison in your drink, they are the sound of a mermaid singing to you, only to bring you into a pit of darkness and despair. Compellingly beautiful songs with an underlying sense of dread.